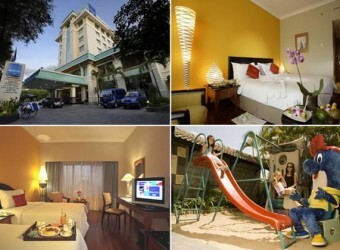 Bali Hotel Novotel Yogyakarta is a very popular hotel for business and tourism located in the heart of Yogyakarta. Hotel facilities including 24-hour room service, bar, swimming pool, fitness center, etc. Laundry, cleaning service, car rental, tours are also available.